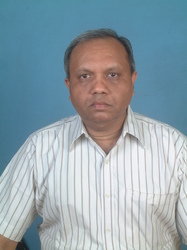 Mr. TARUN DESAI is the Chief Executive Officer of "Prime Products". He has about 20 years experience in supporting battery sales. Over years, he has gained in-depth knowledge about rechargeable batteries. He has published papers in reputed electronic magazines.He has also given seminar talks/lectures on batteries on a number of occasions. He got his M.S. in Chemical Engineering from University of Kentucky (USA) in 1979. Before this he got B.Tech in Chemical Engineering from Indian Institute of Technology, Kanpur in 1976. He is also a consultant for efficient utilization of computers (under Tech-Excel). This understanding of “Systems” has resulted in sophisticated System followed in Prime Products. He worked in the USA with Energy & Environmental Analysis, Inc. Consulting company for 6 years (1979-1985) before returning to India. During this period, he was involved in energy and environmental related evaluation studies. This provided him capabilities to quickly assess various technical issues. He is also active in various organizations such as Lions Club and IIT-K alumni.